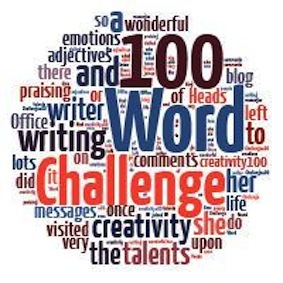 This story is my contribution for the ’100-Word Challenge for Grownups’, (100WCGU) from Julia’s Place. The prompt is “Fall”. Click here to find more details. Please read the other stories in this challenge, by clicking here and following the link. I blame myself. I never thought Jane would be the one to fall. I thought maybe my eldest daughter, April would. She’s always been the “nervous” type, who worries about anything. But it was Jane. In and out of that psychiatric unit for two years. She had electro convulsive therapy, and that helped. It took a small part of her memories, but maybe she’s better off without some of those. After the fall comes the long slow climb. She’s not there yet, but one day I’ll get my daughter back. She may stumble, but I won’t let her fall again. Hi Steve, nice 100WCGU write! I like the emotion that still comes out in the simplicity of the writing. If you like flash fiction challenges it would be great to see you over at Trifecta, another prompt challenge. Give them a search; there’s two challenges per week.